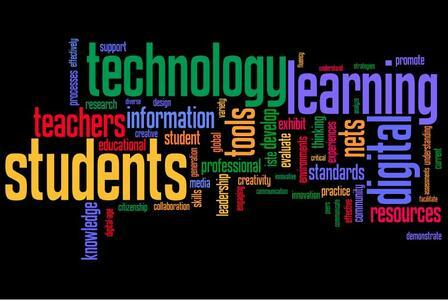 Learning NEXT: First pedagogy, then technology. Maybe. This isn't a new topic. George Couros raised it in his blog post Pedagogy Before Technology? He wondered if the absence of the word "learning" in the definition of "pedagogy" might be an issue. Pedagogy, after all, is about teaching. In the past several months, and perhaps longer, I've developed a particular twitch when educators focus only on their teaching. When talking with administrators about observing the teacher in the classroom, I've received puzzled looks when I've asked what they observed about students learning while the teacher was doing his or her thing. I've managed not to ask what might be an obvious question: "If a teacher teaches and there are no students in the classroom, is learning taking place?" After all, as George suggests, education isn't just about teaching. I might be delivering a great lesson and doing it really well, but if my students are just going through motions and not actually learning, well, I haven't done my job. I'm a fan of thinking first about pedagogy, but that doesn't mean that pedagogy remains at the forefront at all times. In my work with educators, it is inevitable that someone will say, "Well, that won't work with my students." Whether we're talking about an instructional strategy, an approach to building a lesson, some sort of technology resources, or anything else, there are teachers who flatly reject something because they think it won't work with their students. Now I know that this is often code for "this is too complicated/hard/confusing for me so I'll blame my kids," but I've also had teachers who have gone on to explain why the thing is a problem for his or her class. As we've talked, we've usually found ways to adapt or modify the thing, but the point is the teacher was thinking first and foremost of her students. So while pedagogy is, in fact, "the method and practice of teaching," good teachers automatically incorporate their curriculum and their learning objectives as part of pedagogy because they are thinking about their practice of teaching. And because they are thinking about learning objectives, they are thinking about their students--who are the strong readers, who are the ELs, who has diverse needs, etc. When they then think of instructional strategies, they also think about low- and high-tech resources to help them help their students achieve the learning objectives. The teachers who are thinking about their students and their students learning, don't think first of pedagogy and then of technology. For many of them, there is no real differentiation as they think about various instructional strategies and resources, selecting some and discarding others. Now that is not to say there aren't those who find a new tech toy and want to figure out how to integrate, and often because they want to play with the toy. I've been guilty of that, but even as I think about the new tech gadget or resource, I think about how it will help my students learn or how it will help move the engagement needle. There have been plenty of times I've had to set aside my new toy with great reluctance because I just couldn't find a relevant way to integrate it. However, as a result of that process, I learned more about the way I might use that technology and thought through the possibilities which meant I was that much further ahead for the occasion it was going to make sense. . .for the students. Yes, context is very important!